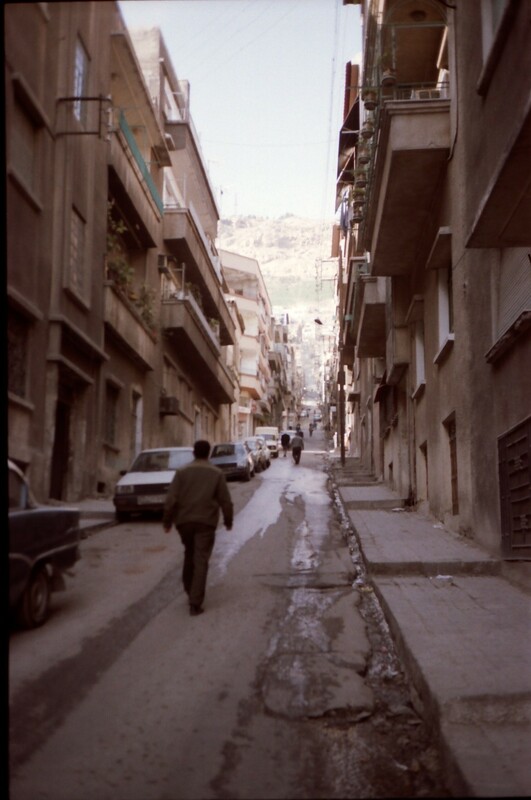 Twenty years ago I spent a month in Syria. I managed to find a nice small flat in a neighborhood that extended up Mount Qasioun just north of the city center of Damascus. Past the wide boulevards on which the embassies lay the slope of the mountain became steeper and modest apartment buildings lined the streets. Here, was my apartment which a landlady in her late fifties had been renting out to students who mostly came to Syria to study Arabic. Before I could move in, I met her in her cramped apartment and discussed the rent. She was a bit puzzled by Luxembourg and where this place was and her curiosity about my home country exceeded the usual level of interest. After a while of back and forth, she just asked me outright what was on her mind: “Luxembourg has nothing to do with Yugoslavia, right?” This was not a question I expected. I could answer will all sincerity of course that Luxembourg never was a part of Yugoslavia or had nothing to do with. Her question had nothing to do with the war that was raging in Bosnia or the dissolution of the country. For her, Yugoslavia was still real and nothing good. Her previous tenants were from that country and had left the apartment in a terrible state. She swore never rent to Yugoslavs again. After I laid her concerns to rest, I received the keys and could move into my apartment. The only trace of my previous tenants were a few Panini stickers of the Yugoslav football team. I don’t remember if they were of the European championship in 1992 when Yugoslav qualified but was barred from participating due to the sanctions or whether it was from two years earlier when Yugoslavia lost in the Quarter Finals to Argentina. 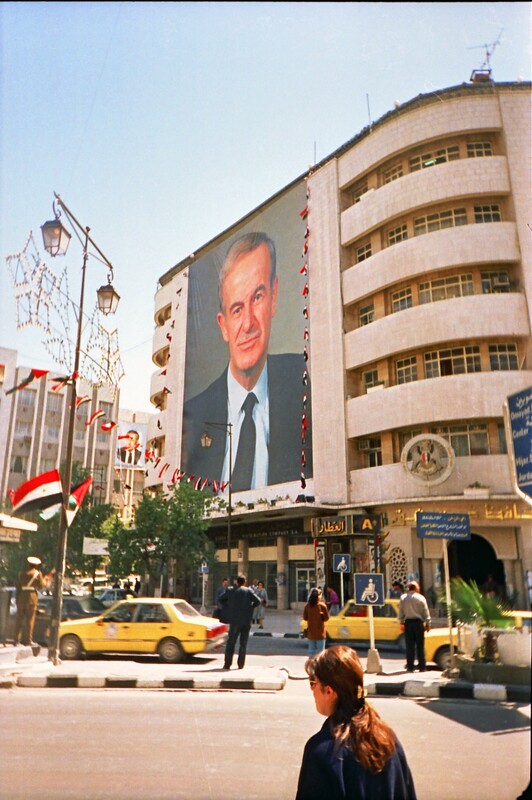 It was not during my month in Syria that I ever thought of parallels between Yugoslavia and Syria, but four years later when I visited Lebanon that the parallels to Bosnia struck me. Today, after two years of war in Syria it is hard not think of the parallels to Bosnia. Of course, there are striking differences: The war came to Bosnia as the Bosnian Serb leadership rejected Bosnian independence and sought to create an “ethnically clean” statelet to join Serbia and started a war with the support of the Yugoslav army and Serbia. In Syria, the war began as a crack-down of the regime on protesters demanding a change of government that has escalated into a brutal war with the government killing protesters and opponents. What is reminiscent of the war in Bosnia is the passivity of what is euphemistically called the international community. External intervention was never seriously on the agenda. Whether it was the blockage in the UN Security Council, difficulty of intervention (unlike in Libya), or the fear of giving weapons to the wrong side, arguments are plentiful. The result is the continuation of the war with increased brutality and more severe long-term consequences. As the war continues, it turns more into a conflict over identity and the Assad regime in Syria has it wish. Originally a repression by a brutal dictatorship is turning into a war between the Sunni majority and Alavites who have been associated with the Assad regime. The longer the war drags on and as the rebels see little support for their cause to rid Syria of the Assad regime, the more this conflict becomes sectarian. Increasingly, it seems that even if the rebels were to win, this would just usher in further conflict in which the Alavite minority and other smaller communities such as Christian groups would become the target by the majority. Currently, it is hard to imagine what post-war Syria would like, but it seems certain that the two years of war have seriously damaged community relations and segregation and conflict will follow. Three and a half years of war in Bosnia also undid many ties and created a deeply divided society. In this sense, those who started the war created a new reality where the divisions they invoked became real. The longer the conflict continues, the harder it will be in peace time to undo the damage done. Not intervening will not make Syrian reality go away, but every day that the war continues, the peace will be harder. These are the parallels to Bosnia. I’m just writing something on this now – the issue/presence of other pasts on the present crisis being attended to. Thank you for putting this so succinctly. Your last paragraph, the last few sentences in particular, are spot on.